Houses & Homes VA: My Fence is on my Neighbor’s Property! Now what? My Fence is on my Neighbor’s Property! Now what? Mistakes happen in life and the world of real estate is no exception. Every homeowner’s nightmare is finding out that somehow a mistake has been made regarding your property line and you (or a previous owner) have built something that extends beyond your own property. 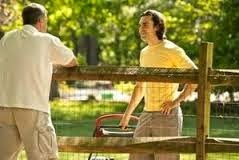 This could be as simple as a fence that is actually sitting on your neighbor’s property or even an additional structure such as an addition or garage. Although this type of situation is rare it has happened before. So what do you do if this happens to you? Well, first of all, don’t panic. Depending upon the circumstances it is possible that you won’t be required to remove the impediment. In Virginia there is a difference between a nonconforming property and an illegal property. Regardless of what type of structure is located beyond the property line if a building permit was issued granting permission to build as well as a use permit or certificate of occupancy than the building will not be considered illegal and will not be required to be removed. This is one great reason to obtain the proper permits from your local government if you have any future building plans in mind. Another caveat that may be a saving grace if you find yourself in this position is time. This is one time that taxes can actually be your friend! If the issue concerns a building on your property and you have been paying taxes on that additional structure for a minimum of 15 years than current Virginia law states that again your structure will be deemed as nonconforming but not illegal. If you learn nothing more from reading this than the fact that obtaining a building permit is always a good idea before committing yourself financially than you have learned a lot. Building permits are not very expensive and aside from avoiding possible legal issues with the local authorities they do provide a level of protection for the homeowner. As always it is best to seek the advice of an attorney in such matters but if you are experiencing this type of problem at least there is the possibility of solving the problem without being required to remove the structure or paying “rent” to your neighbor!